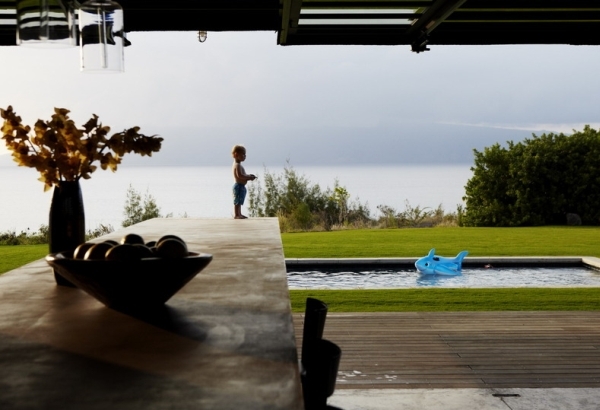 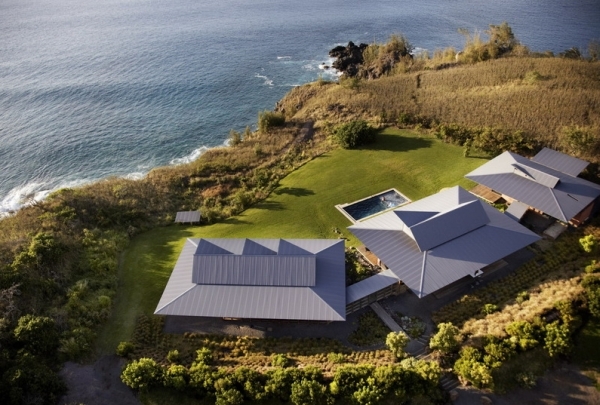 This swanky surf compound, Designed by Olson Kundig Architects, is located near Slaughterhouse Beach in Maui. 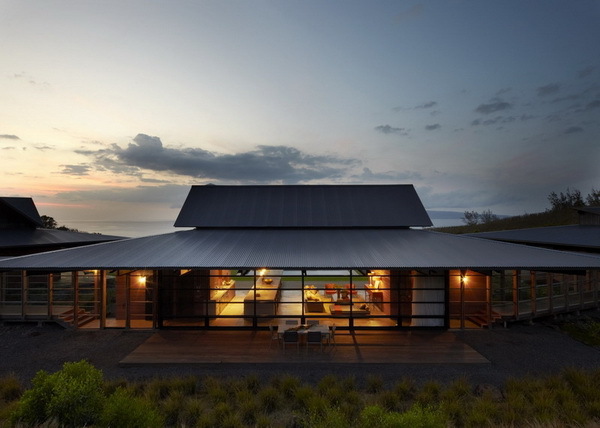 Having a simplistic modern appeal, while still staying grounded literally! 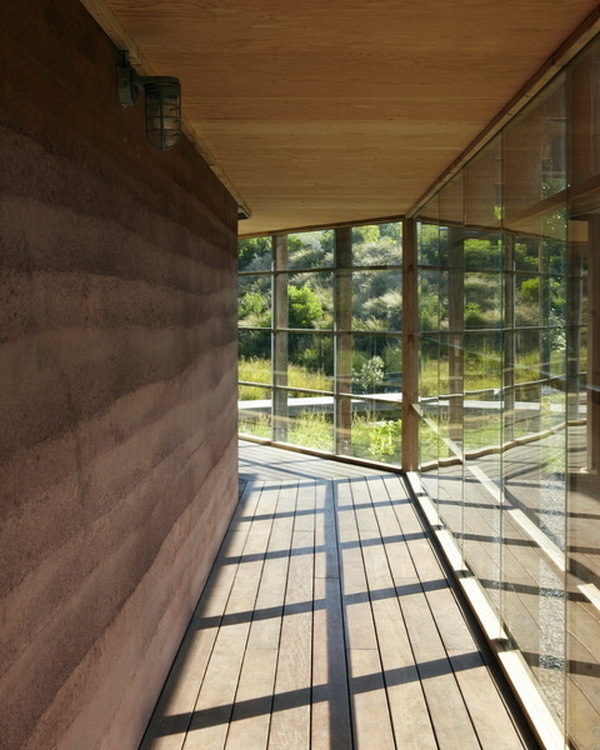 The walls are constructed from rammed earth. 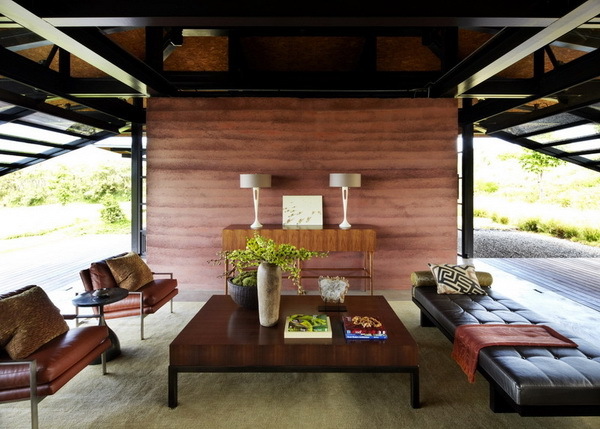 In this process, local earth-based mixtures are packed together, resulting in a nearly fire and sound resistant wall that is low maintenance, something everyone will appreciate. 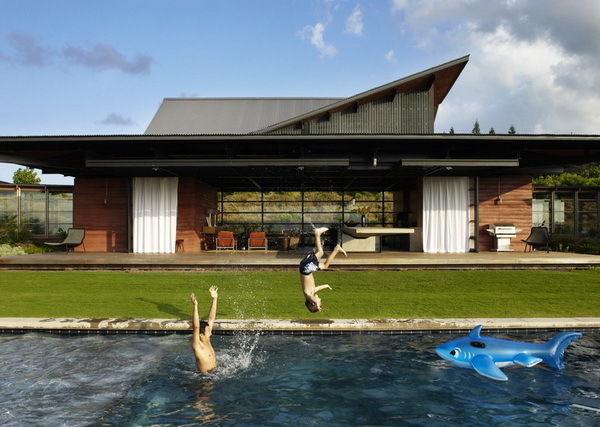 The compound consists of three huts: Living space, Guest rooms, and a general sleeping area.